What type of companies do consumers complain about the most in Spain? Telecoms (no surprise there!). With confusing tariffs, contracts that lock you in for up to 2 years and getting through to a human at their call centres harder than getting a Ph.D in quantum physics, it’s no wonder people complain. There are currently over 90 different mobile tariffs in Spain, so choosing the one that’s right for you isn’t an easy task. Internet (fibre and ADSL) contracts have a similar array of prices. Even if you get lucky and find a tariff that suits your usage, you’ll tend to find that another company will come up with a better tariff shortly after. Even with the best tariff in the world, you need to know what to do when things go wrong. A company has the right to unilaterally change the terms of the contract (normally resulting in your monthly payment increasing!). Any changes must be sent to customers in writing at least one month before the changes are implemented. (Notifications normally come in the form of an annex to your bill). If you don’t agree with the new terms, you have the right to cancel the contract before the new tariff comes into force and NOT PAY any associated penalty charge. If you cancel your contract or change operator and your former provider “accidently” bills you for the cancellation charge, you should claim back the money. Make sure you really cancelled the contract! When cancelling by phone you’ll be given a contract cancellation reference number. For cancellations by post you should send the letter by recorded delivery. When you are absolutely sure that the contract is cancelled, inform your bank to stop accepting the bills. If all else fails, make a claim (see below). Some Telecoms providers will tell you that you can’t cancel your contract during the first X months. You can cancel your contract at any time, although you may be liable for a penalty charge. Remember that penalty charges are proportional to the days left on your contract. Sometimes it may be in your interest to pay a penalty charge to move over to a different provider with a considerably cheaper tariff. Your broadband provider must give a minimum level of service. If you find that you’re without internet connection on several occasions and want to change provider, then you won’t have to pay any penalty charge. Make sure you keep a record of the periods you have been without service and of the reference numbers of your complaint calls/emails to the provider. Remember that you have a legal right to have all your contracts, even if you’ve contracted a service by phone. If your contract doesn’t arrive by post or email or you’ve misplaced it, you can request a copy by phone and the company must send this WITHOUT CHARGE. When you request a copy you will be given a reference number. If you just need to check the general clauses, each Telecoms company website includes the T&Cs. Don’t use the normal Official Complaints Forms (Hoja de Reclamaciones). When your Telecoms company doesn’t solve your problem in a satisfactory manner, make a claim either by phone, via the website, in writing or in one of their stores. Don’t forget to ask for a complaint reference number. Once your complaint has been registered the company has one month to reply. If your Spanish is OK, it’s a good idea to use the provider’s online chat service. It’s normally quicker than the phone (no endless options to go through!). Tips: (1) Type a short description of your enquiry to cut and paste in the chat box. (2) Have handy all the info you might need: dates, phone numbers, contract, etc. before you start. On the Industry Ministry website there is further information about making a claim via their free service. To use this you must have already made a complaint to the company and received a reply. 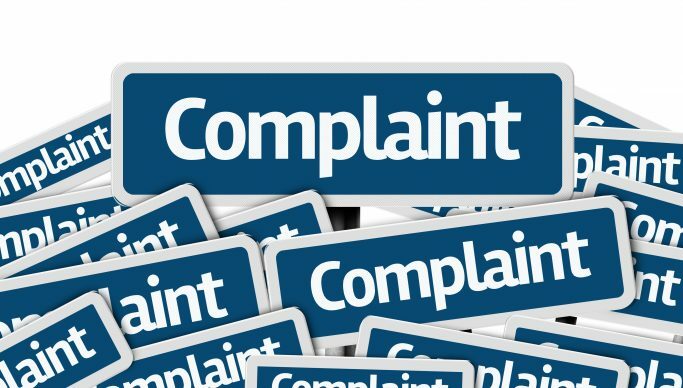 If you haven’t received a reply, one month must have gone by since you submitted your complaint. You then have three months in which to use the official Telecoms Office complaints system; they have up to six months to reach a decision. Note that these decisions, if in your favour, can be taken to court by the Telecoms company involved . The Industry Ministry also includes a page with all the contact details for Telecoms companies that operate in Spain as well as their websites. Remember that companies are not allowed to use premium rate lines for their services, calls must be either free or have local / national rates.